NOTE: You will be required to set up an account in order to register. Click on the “Schedule and Register” option at the top of the page. 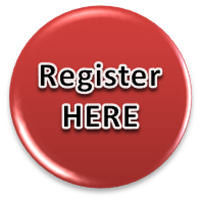 Click “Register Now” under the appropriate event. Enter your email address in the Account Lookup box. If you do not have an account, you will see a message that your “email is not recognized in our system” and you will be prompted to create an account. Follow the prompts to set up a username and password and continue to payment center. Are you thinking about aPHR, PHR or SPHR certification? Wondering how it will help you, and what the best way to prepare for the examination is? Then come to this FREE 60-minute webinar to learn what it’s all about and experience a sample of course materials from David Siler, PHR, SPHR, GPHR, and find out if an HR certification is right for you. Please note that this program is only an overview of the benefits and requirements of obtaining an HR certification.